Game Timer | Mac App Storeのアプリ検索・ランキング BuzzMac! 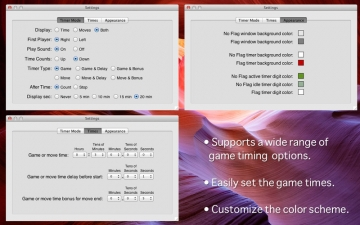 Game Timer is a great game timer that has all of the features you would expect. Small things, like hitting any key on the keyboard to switch players, makes it a pleasure to use. 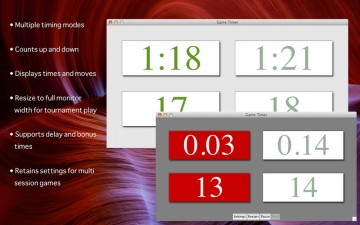 Game Timer supports multiple timing modes as well as a move counter. You can customize the appearance to suit you're playing environment.